Economic curbs are squeezing North Korea but the volley of test missiles hasn’t slowed. Trump and Xi have misread the situation, and each other. 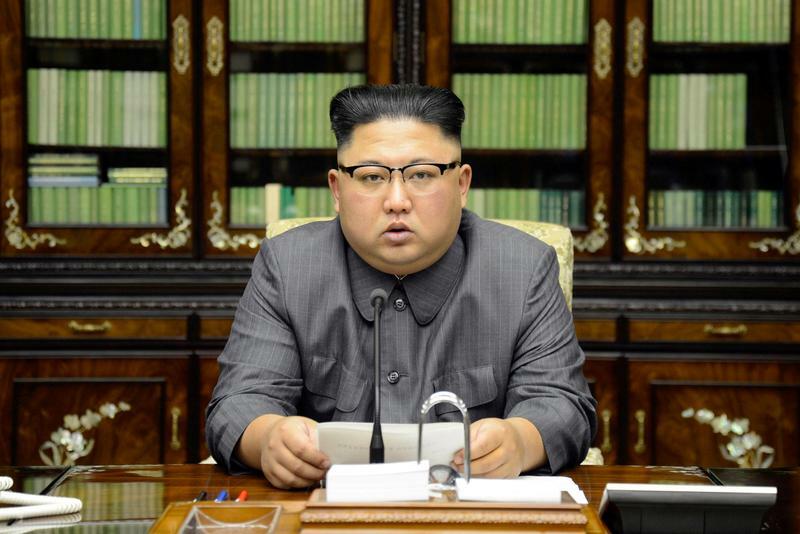 Kim Jong Un is unimpressed by half-hearted sanctions; they strengthen him domestically. Time to price in the risk of real violence. Reuters: Trump orders new sanctions against N.Korea, Kim calls him "deranged"
U.S. President Donald Trump ordered new sanctions on Sept. 21 that open the door wider to blacklisting people and entities doing business with North Korea, including its shipping and trade networks. China's central bank told banks to stop providing financial services to new North Korean customers and to wind down existing loans with North Korean customers, Reuters reported, citing a document described by four sources. China, North Korea's main trading partner, has backed United Nations sanctions over North Korean nuclear bomb tests, but has repeatedly said it is opposed to unilateral sanctions and "long-arm jurisdiction" over Chinese entities. The Financial Times newspaper reported on Sept. 22 that Steve Bannon, former chief White House strategist, flew to Beijing last week for a secret meeting with Wang Qishan, head of President Xi Jinping's anti-corruption campaign and one of China's most powerful politicians after Xi himself. China's foreign minister Wang Yi on Sept. 21 called on North Korea not to go further in a "dangerous direction" with its nuclear programme.